Sieve the wheat flour and refined flour together. Rub in the oil and add enough water to make a stiff dough. Set it aside for half an hour. 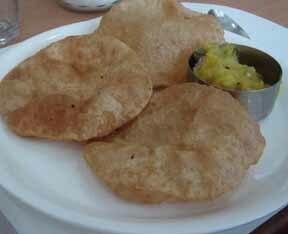 While frying press the puris down, so that they puff up. Serve hot.